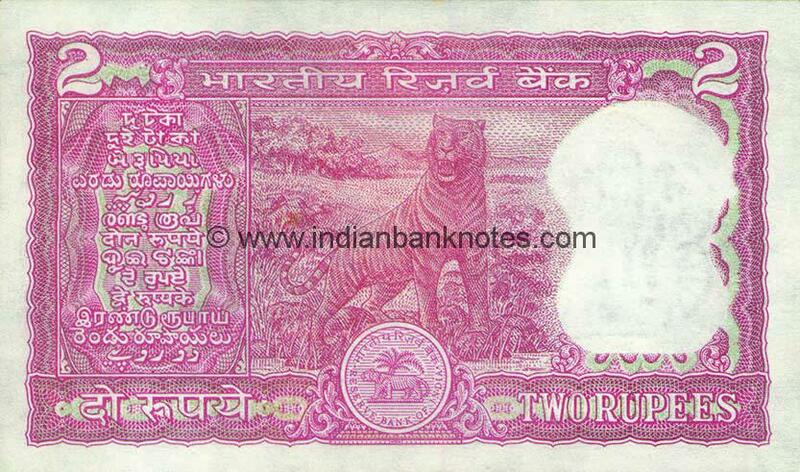 Vignette: Ashoka Pillar with ‘Satyameva Jayate’ below on obverse and standing Bengal Tiger on reverse. 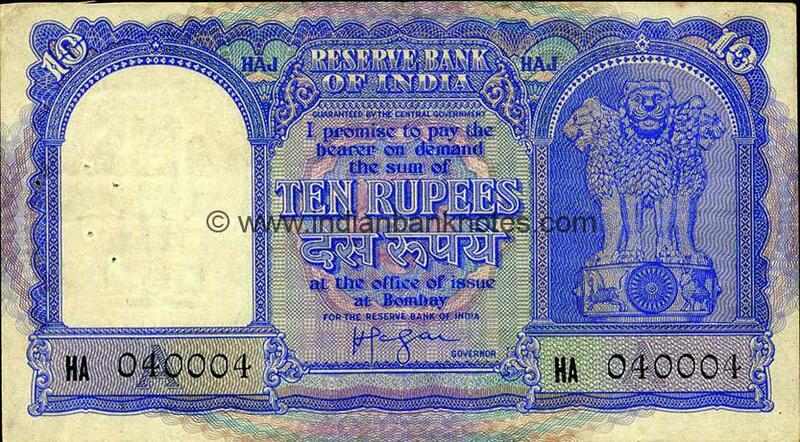 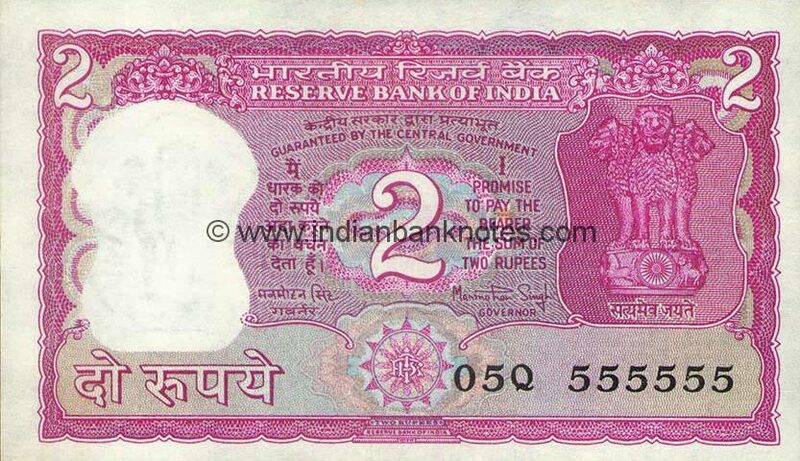 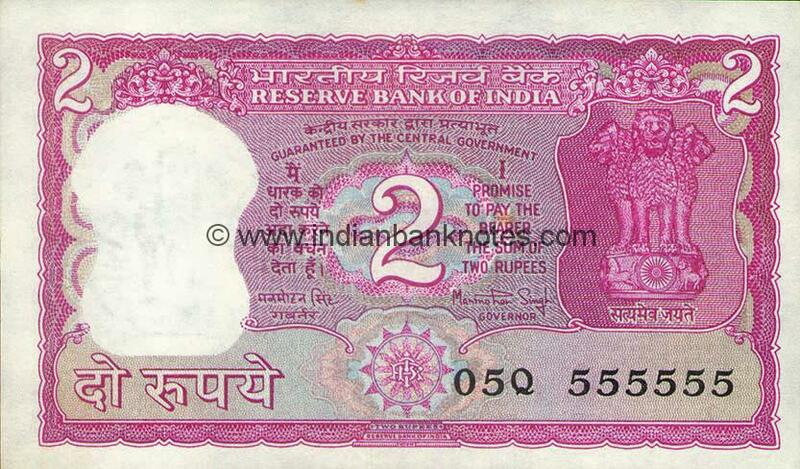 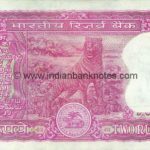 Obverse same as Type 6.2.7 except order of Hindi and English in RESERVE BANK OF INDIA, promise text and guarantee inversed. 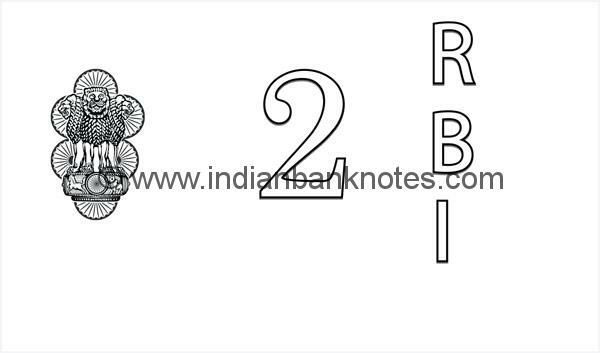 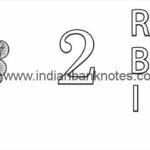 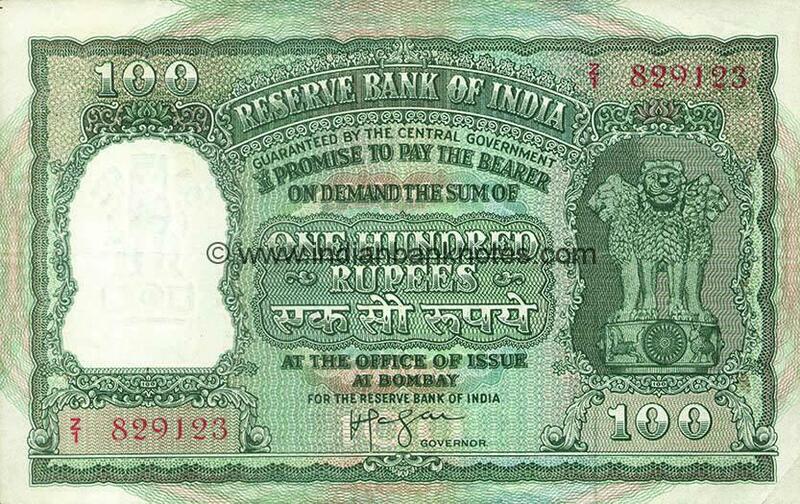 Stylised RBI monogram in different panel to left of serial number. 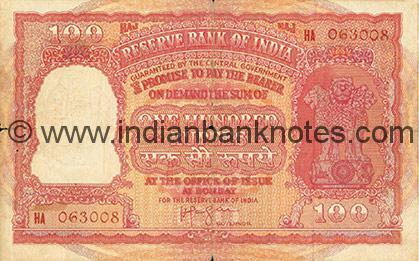 ‘Satyameva Jayate’ added below the Ashoka Pillar, to accommodate this change the pillar size is reduced.